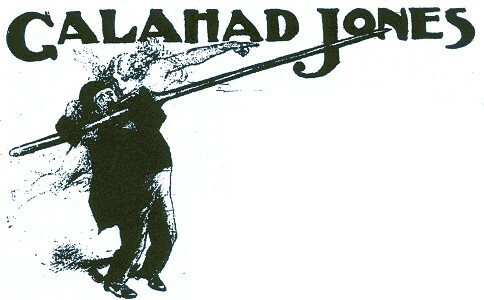 Arthur H. Adams : Galahad Jones Goes Surfing, February 1910. Chapter XIII : Galahad Goes Surfing. 1st February 1910, pages 433 to 441. While ostensibly a work of fiction, Arthur Adams' humorous narrative provides a detailed account of surf-bathing at Manly from the "tourist" perspective, beginning with the trip by ferry from Circular Quay. The hero's name is a reference to the famous knight from the Tales of King Arthur and the comic nature of the piece possibly has some resemblance to Cevantes' character Don Quixote. These elements are implied in Norman Linsay's header illustration, below. The serial began in the August 1909 edition. THE CHIEF CHARACTERS IN THE STORY. in the Bank, and in Galahad's suburban cottage in magic Avenue, Mosman. The time is last summer. CHAPTER XIII. - GALAHAD GOES SURFING. The Quay, when their Mosman boat reached it was a kaleidoscope pattern of vivid hues. The picnic girl was thronging everywhere, dropping like rosy apples from the crowed trams, blown like brilliant petals across the clanging Quay, collecting in georgeous clusters in the shadows under the wharf verandahs. They sreamed greetings to their girl chums and their "boys", they counted parties and decided not to wait another minute for the missing Alice or James, and waited three quarters of an hour. They staggered with bulging dress-baskets filled with superfluous crockeryware. They laughed, joked, chattered, nudged, and were happy. Every youth had a straw or a panama hat, and every girl made up for the chaste whiteness of her skirts and her blouse by a picnic hat that glittered and wobbled like a pantomime ballet. Of course there was no chance for Galahad and his wife, wedged in that mass of perspiring picnickers, to gain access to the first big Manly boat that waited at the wharf. Nor the second; but they managed to squeeze aboad the third. It was stifling on that crowded deck till the twin-screw steamer started; then the cooling breeze played on bared heads and ungloved elbows, and there was music and chatter and peace. There was a big regatta on the harbour, and the steamer plunged right through the finish of the race. Immediately she was emompassed by a fleet of tiny boats- flat things carrying absurdly enormous sails, ballasted with crews of youths who sat on gunwales of these dishes, and leaned horizontal as gusts came, like rows of automatic pendulums. And these boats slipped under the steamer's stern and dived across her bow, and exchanged bright conversation with the worried skipper. And there was the P. and O. liner that was the regatta flagship, glorying in bunting; and innumerable motor launches buzzing everywhere; and crowds on all the shores, and picnic parties on every beach. At Manly, Galahad and Em made their way to the ocean beach; and at Fairy Bower, where boiling water was for sale, they manage to find a vacant spot untenananted by children, and ate and drank, and were convinced that they were enjoying themselves. Then Galahad, stretched on the beach, read his morning paper, and Em dallied with the advertisement pages; and they were happy. When the effects of the meal had worn off they strolled back to Manly and made two of the immense crowd that watched the bathers. It was very hot; and in the breakers were thousands of happy surfers. And Em got quite a lot of placid happiness out of criticising the figures of the women bathers, reserving her shafts of satire for those that were thin. She wondered however such rakes could have the "cheek" to bathe before all that crowd. But she envived them a little; the breakers did look so cool. "Look here, Em," suddenly said her husband, "what about a bathe?" "I'll wait here. You go and get a bathing costume." He handed one to Em. "For me?" - she snorted. "Yes. Size all right. Largest they'd got in the shop." "Do you mean to imagine, Gally, that I'd go in in this before all that crowd?" "Why not?" said her remarkable husband. "But it will be gloriously cool." "And it's hot here," admitted Em with a little envy. "Nobody will notice you among all the lot. Besides, nobody would recognise you in a bathing dress." And Em was tempted and fell. She had never been in the surf. And there was a holiday air about the place, and altogether it would be daring and reckless; and she was sure she would fill her bathing-dress much better than most of those skinny, brazen scarecrows out there. So, later, the crowd of spectators were enlivened with the view of the pudgy figure of an ex-bank clerk and incurable sentimentalist gallantly leading to the breakers the bulky and almost magnificent figure of his spouse. ... Canadian costumes of bright colours, with their many-hued bandana handkerchief head-dress (which, of course, they did not get wet), and the bronzed figures of the inveterate surfers- young men who cultivated browness as assiduously and as enthusiastically as a debutante cultivates her complexion. And both men and girls (it was whispered) used a special cream which under the sun put that brown bloom upon arms and legs. For the dream of the white Australian surfer is to be brown. It was glorious fun in the surf, and Galahad could not persuade the happily laughing Em that she had had enough. They advenced further out to meet the big breakers, carefully keeping within the line of the advance guard of "shark bait"- those sturdy swimmers who risked the ever present danger of th sharks and the undertow for the delight of "shooting" the long rollers. But Galahad and Em had plenty of fun with the smaller breakers that would slap you over and roll you in the sand in a way exhilaratingly provocative. And during one of his entreaties for Em to come out- for Em was but a happy and irresponsible child again- a larger breaker came upon them unawares and flung them in a scurry of foam and sand off their feet. It had caught other unwary bathers too; and as Em and Galahad ruefully sat up and wiped the water from their eyes, two figures- those of a young man and a girl- that had been swept in from further out, put their heads out of the water. There was a short stare of recognition; and then almost four simultaneous cries. A pretty, slim girl called, "Father!" A pudgy ex-bak clerk snorted, "Horace!" An agonised mother spluttered, "Kathie!" A clean-limbed young man groaned, "Mr. Jones!" Then a second big roller scattered the group; and when Galahad and Em emerged from the foam that couple of young bathers had been whirled away into the crowd. So Galahad knew now that Horace Lothian's mysterious "other girl"- the girl he had seen him with that evening when running for his boat- was his own pretty Kathie! "At McCarthy's new shop opposite the breakers, ladies and gentleman's surf bathing costumes and towels were offered for hire for 1d each, and it was advertised that valuables would also be looked after." Geoff Cater (2008) : Arthur H. Adams : Galahad Jones Goes Surfing, 1910.